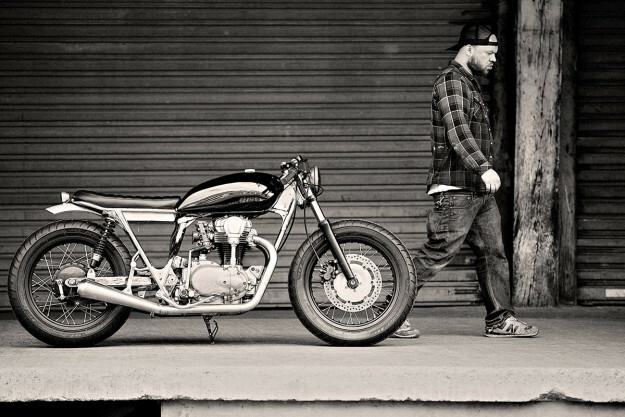 Before the ‘new’ Triumph Bonneville came along, there was the Kawasaki W650. And some would argue that it captured the spirit of the Meriden original even better than the later Hinckley-built Bonnie. 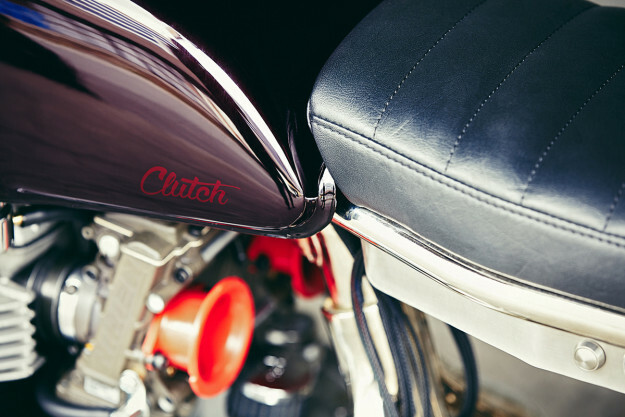 Willie Knoll of Paris-based Clutch Motorcycles is a fan. His Bonneville T100 from last year is one of our all-time favorites, so we were keen to see his version of “Big Green’s memory machine”—as Motorcycle Classics has called the W650. 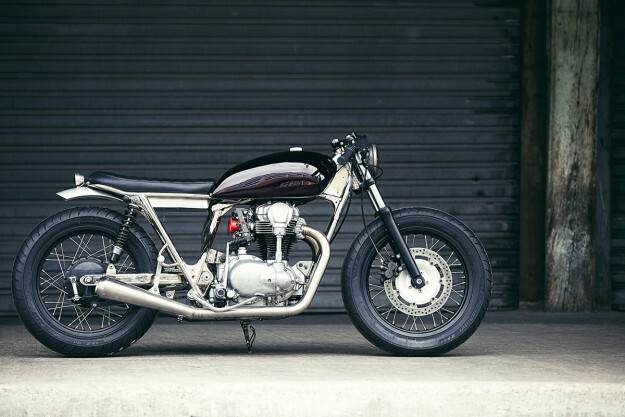 For Willie, visual ‘flow’ is critical to a good custom build, and he doesn’t disappoint. The slightly matronly stance of the W650 is gone, replaced by a lower, sleeker vibe. 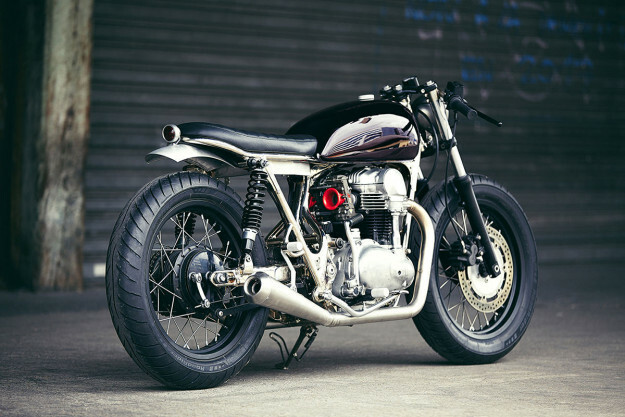 By cutting and machining seven centimeters out of the fork tubes and shortening the rear shocks by three centimeters, Willie give the W650 a more sporting stance. He’s also taken a couple of centimeters out of the swingarm and fabricated a complete new rear frame for straighter lines. The tank is from a Kawasaki 750cc twin, reshaped and tunneled underneath for a good fit. It now hides some of the electrics, and is topped off with an exquisitely knurled gas cap—a Clutch signature touch. 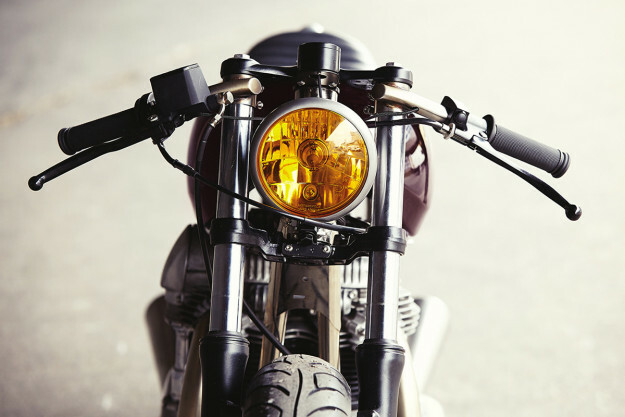 The rest of the electrics live in a fabricated stainless steel box—including a Motogadget m-Unit digital control unit, the ECU, and the key start mechanism. It’s all hooked up to a brand new wiring loom and the sole instrument is a 49mm Motogadget Motoscope Tiny analog speedo. The air-cooled, 360-degree crank motor has been completely rebuilt and treated to a set of Keihin FCR37 flatslide carbs: the scarlet red velocity stacks are the brightest splash of color on the whole bike. 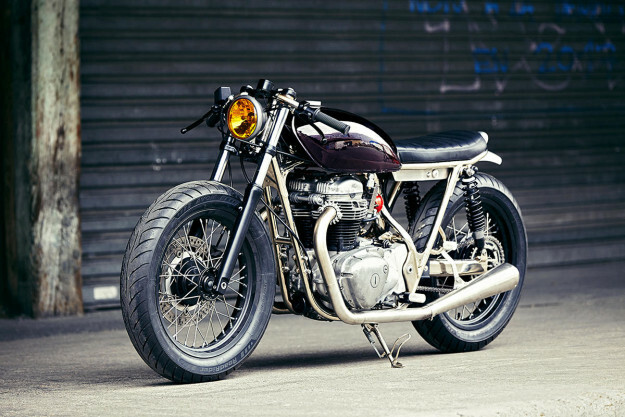 The exhaust system is simple and understated—45mm stainless pipes fitted with vintage-style Spark mufflers. 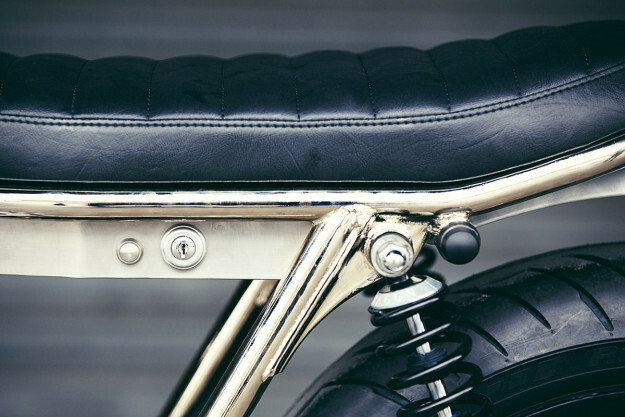 The overall effect is raw metal, with lustrous nickel-plating for the frame and swingarm. 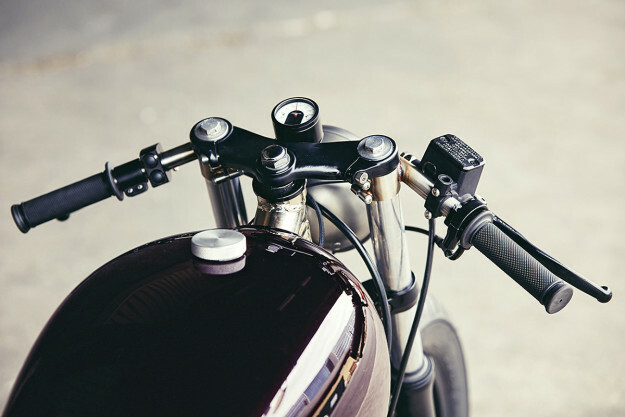 The stainless steel handlebars are custom-made, and fitted with discreet black Motogadget m-Switches. The rider’s boots rest on beautifully machined custom footpegs attached via stainless brackets. 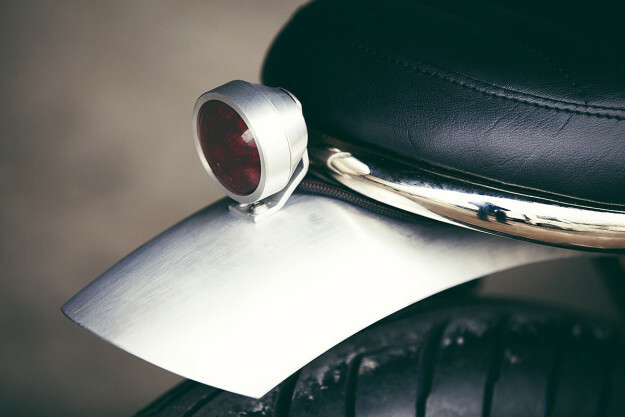 In fact, there’s classy machining work everywhere; the taillight is especially noteworthy. It’s the work of a perfectionist, but that’s what makes a Clutch bike extra-special: immaculate visual ‘flow’ and peerless craftsmanship. And it gets a big Oui from us.